We deliver biofuels by trucks on DAP terms, according Incoterms 2010. DAP – Delivered at Place (named place of destination). The seller is responsible for arranging carriage and for delivering the goods, ready for unloading from the arriving conveyance, at the named place. Duties are not paid by the seller under this term. The seller bears all risks involved in delivery the goods to the named place. According to the rules, we load up to 23 tons including pallets and packaging. Regions of delivery – Germany, Netherlands, Belgium, North Italy, Czech Republic, Denmark, etc. Delivery time – 4-7 working days after order confirmation. Be aware that your order can not be cancelled after custom clearance is completed. All complaints about delivered goods should be written in CMR. 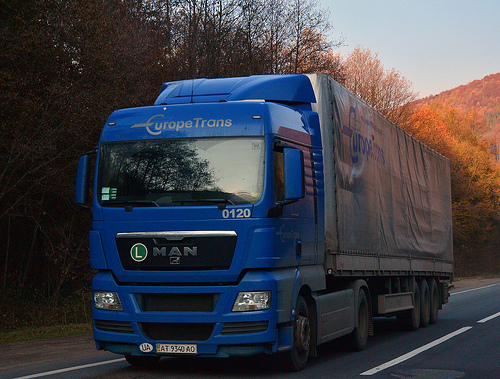 Our main delivery partner – logistics company Europe Trans.